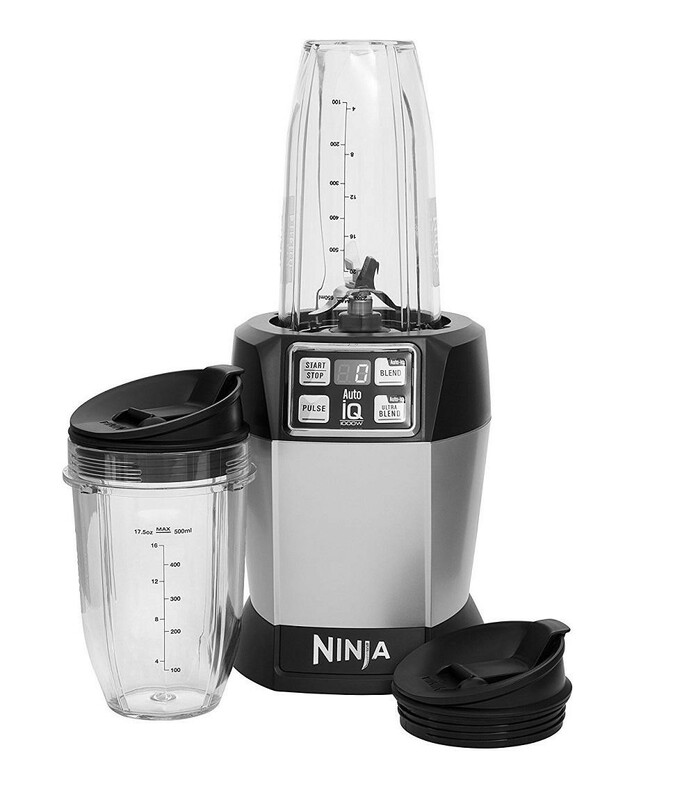 The Nutri Ninja BL480UK food blender with auto IQ is the perfect kitchen appliance for people who love to get creative and make delicious, tasty smoothies and juices. The one touch operation thanks to Auto IQ technology makes this blender easy to use, the powerful 1000W motor combines with the specially designed and patented pro Extractor blades to ensure all of the nutrients are extracted while the ice crushing technology allows you to create delicious summer drinks. The 650ml and 500ml cups come with sip & seal lids which allow you to take your fresh smoothie with you and cleaning the blender is easy, just rinse under a tap or place the dishwasher-safe parts into the dishwasher.